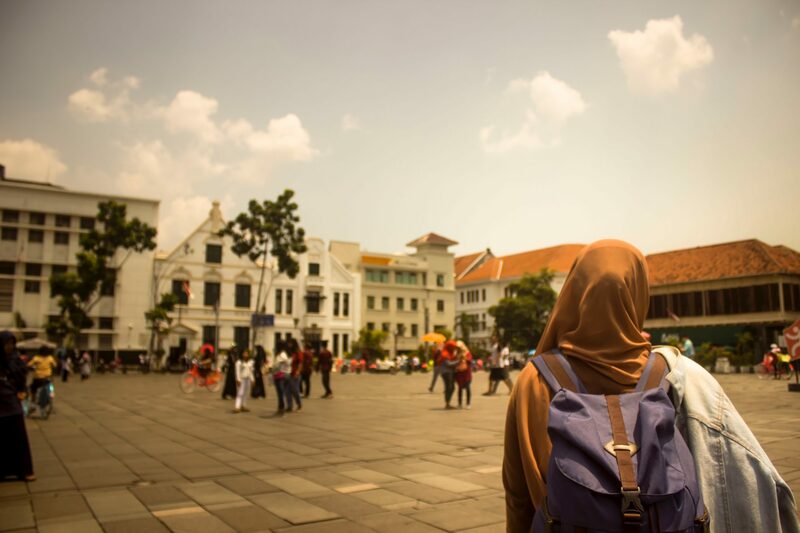 STEP is a free program developed by the Department of State that U.S. travelers can enroll in to connect their trip with the nearest U.S. Embassy or Consulate in their destination. How will STEP help you? So what will you get out of being connected to the nearest U.S. Embassy or Consulate? To start, when you connect your trip with STEP, you’ll be signed up to receive updates from that embassy or consulate on what’s happening in your destination in terms of the latest news and any safety concerns that might arise. You’ll start to receive these updates as soon as you enroll, so you can stay on top of what’s going on and make decisions about your travel plans accordingly. Then, once you’re on your trip, enrollment in the STEP program will make it easier for the nearest U.S. Embassy or Consulate to contact you in case of emergency, whether in your destination in the form of weather or “civil unrest” or a family emergency at home. While we hope that none of this will happen on your trip, being enrolled in STEP will offer you and your family free–and priceless–peace of mind. Enrolling in the STEP program is especially important if you’re traveling to an area that is prone to natural disasters or has a recent history of civil unrest, if you’re traveling to attend an event that garners international attention, or your internet access will be limited. It’ll help the U.S. Embassy or Consulate contact you and connect you with evacuation services if an emergency situation arises. Again, it’s unlikely that you will need them, but why not know they’re there just in case? Good news…enrolling in the STEP program is super quick and easy. The first step is to create an account on the STEP website. You’ll just need your basic information like your birth date, email address, and phone number, your passport or passport card number, and contact information for your emergency contacts. Once your account is set up, the next step is to enroll your upcoming trip. You’ll include your destination, travel dates, how you’ll be able to be contacted while you’re there, and the reason for your trip. Once you enroll your specific trip, you should start to receive alerts about your destination via email as they come up. Every time you book a new international trip, just go back to your account and enroll it too. If you don’t have a trip booked at the moment but are thinking about heading to an international destination at some point down the line, you can still sign up for travel alerts in that destination here. That way, you can start to get a sense as to what’s happening in that area before you even book your travel. Do you have international travel planned? Lucky you! Much like the STEP program, travel insurance offers another important layer of protection for when you’re traveling abroad. You can start to look into which insurance options are best for you here and get a free quote here.